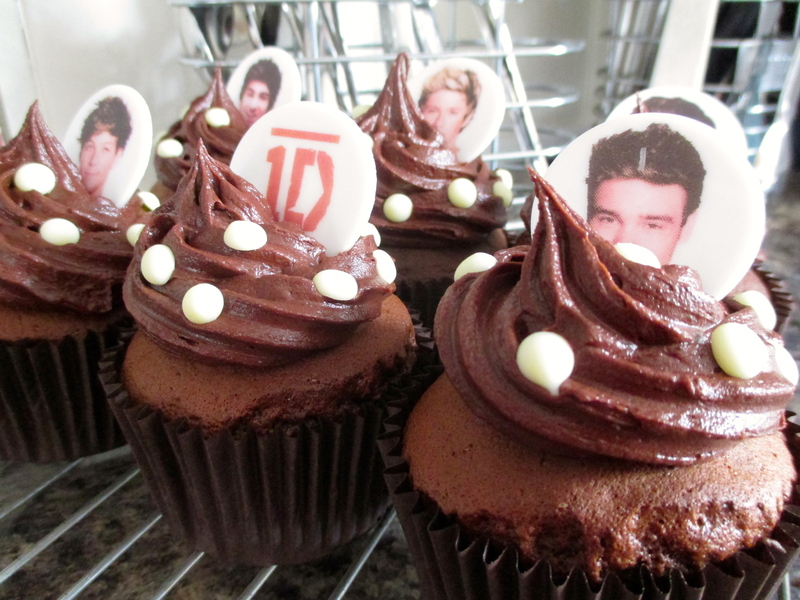 One Direction Cupcakes – Bake With Me! 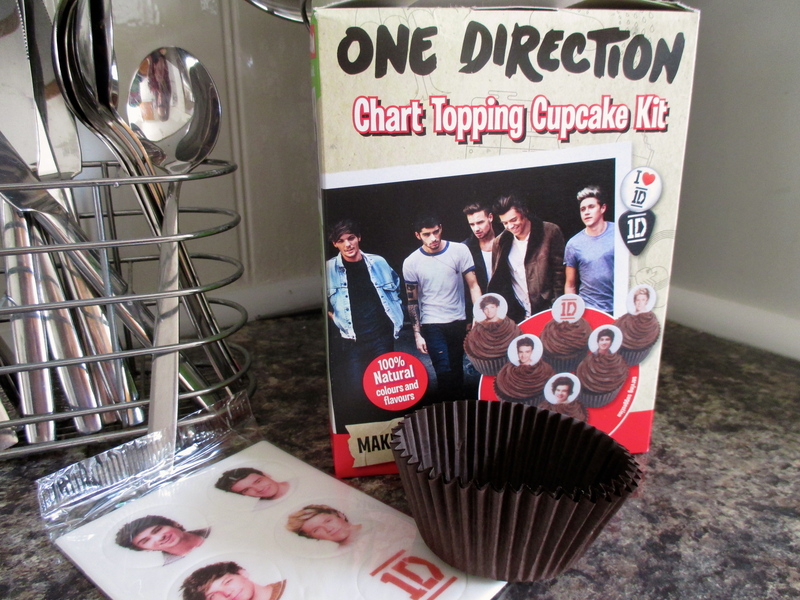 I’ve been a little hesitant about this review on the latest One Direction cupcake kit since I understand that the British boy band may not be to everybody’s taste. 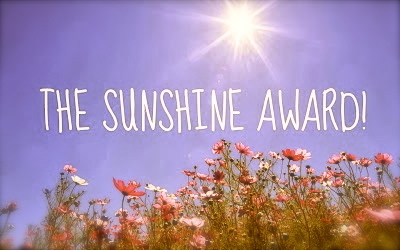 However, I thought they were a really fun idea, especially if you’re shopping around the supermarket with young children or if you’re anything like me, a near 20 year old still singing One Direction in your bedroom. You may find yourself just popping these in your trolley. Essentially these are just a simple chocolate cake with a buttercream icing, made exciting with a fondant face of one of the boys. Many cake mixes often only require you to add an egg and perhaps a little water, this cake mix however, asks for softened butter, and recommends mixing with an electric whisk. I’m pleased that I did follow this advice and used an electric whisk since I was a little worried when I opened the box to find a tiny packet of cake mix that looked like it’d struggle to fill 6 cake cases. 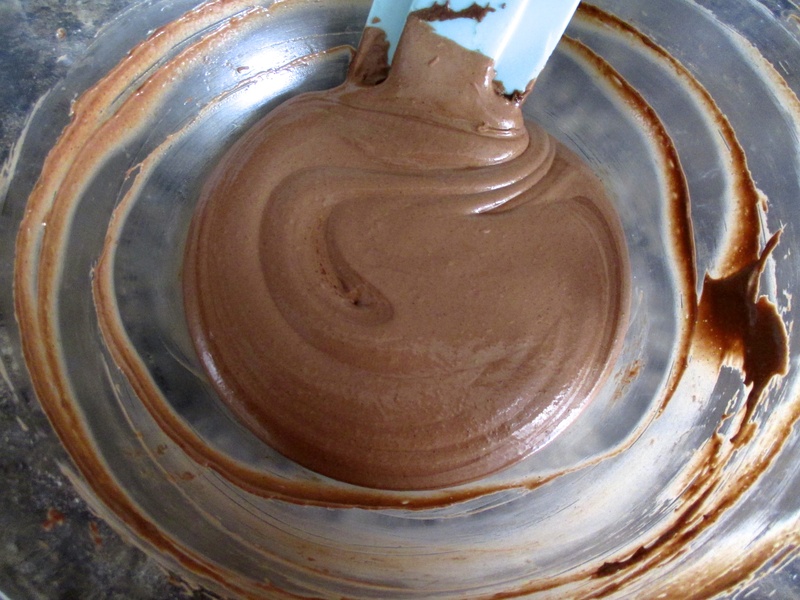 Nevertheless, the mixture did double after whisking forming quite a mousse like cake batter, which was more than enough. The cakes didn’t take very long to bake – perfect if you’re a little eager like me! Just like the cake batter, there was more than enough buttercream to pipe a fair amount on each cake. The only thing I found a little strange was that after emptying the frosting into a bowl, the instructions recommended using that same packet as a piping bag. Now, I’m not particularly neat when I bake, and especially if you’re baking with youngsters, the packet is very easily ripped. 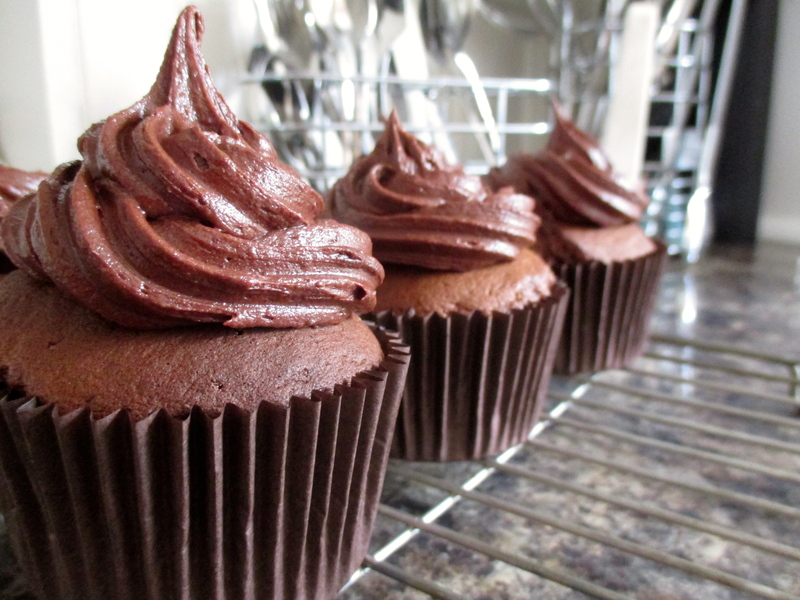 Having something spare, like your own piping bag is handy, or if not, simply spoon the frosting on top. The fun part is decorating your cakes with the fondant boys and I also added a few white chocolate drops, just for extra jazz. The only problem I had with the fondant heads was that in the morning, a couple had gone a little soggy after being at room temperature. Niall didn’t quite look the same the next day! Therefore I definitely recommend that you eat them on the day that they’re made. 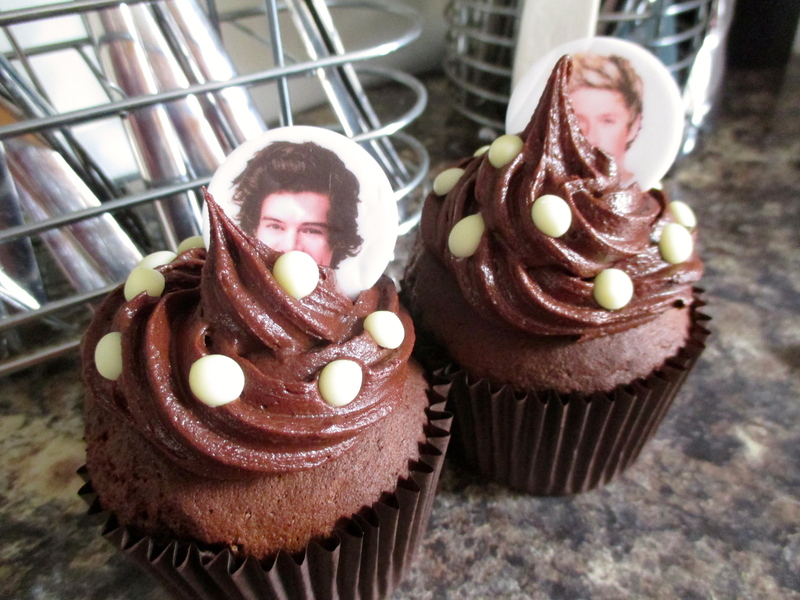 Harry and Niall are my favourite! 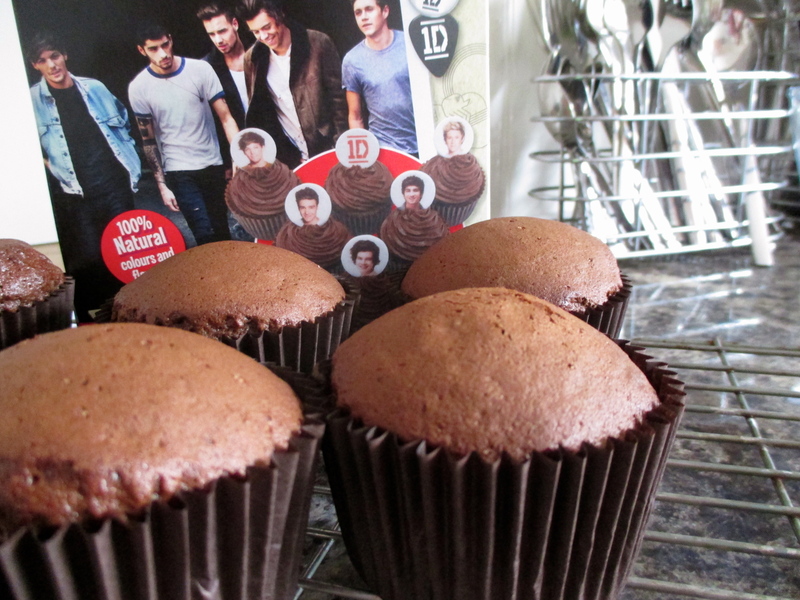 The One Direction Cupcake Kit is available from most supermarkets, costing just a few pounds. If you’re looking for something to bake this weekend – perhaps give them a go! My cousin would love these! They’ve certainly done well! I think a Simon Cowell cake is a brilliant idea — I’d definitely make it! Pingback: Almond & Lemon Sponge – Bake With Me!